I haven't been cooking these days. 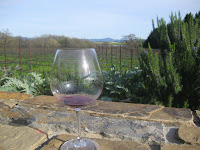 We spent the weekend in Sonoma. The weather was sunny and warm and made our trip even more pleasant. We stayed for a night at Healdsburg's Dry Creek Inn. Since most of the hotels in Napa and Sonoma are B&B, we were surprised by the nice room we got at this place. We stayed in the newer Tuscany building. Rooms were clean and nicely decorated with luxury bedding and a fire place. 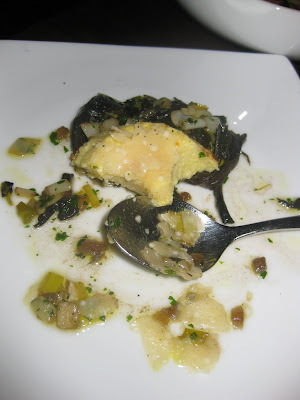 We had a dinner at Scopa, a small authentic Italian in a cozy setting restaurant, downtown Healdsburg. Reasonably priced for the quality of the food. It is really a very small place, accommodating no more than 30 diners, with intentionally under-the-radar signage. Regardless, they make the best of their limited space. 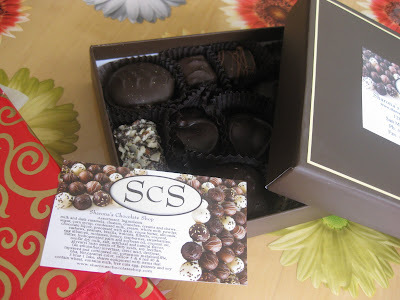 The food was delicious, and the staff was extremely attentive . We tried a variety of appetizers and shared them. First we had wild mushrooms with cheese. It looks like a very simple dish but when you try it your eyes roll up and you sigh .... Delicate, fresh ... yet simple. 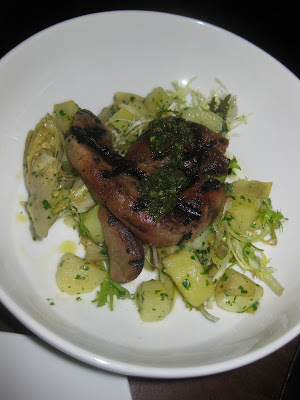 Then we had grilled lamb’s tongues, over sauteed potatoes and artichoke. The lamb was amazing, cooked to perfection. It just melted in our mouths!!! 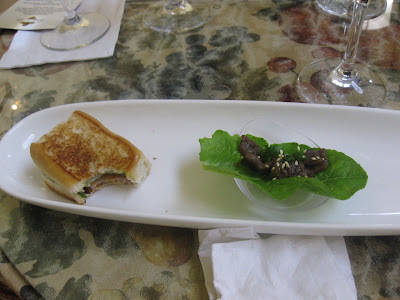 The last was the grilled sardines stuffed with breadcrumbs served on a bed of greens. I was not very excited about this one, too fishy for may taste. For a main course we shared, polenta with braised pork shoulder, cabbage and sausage….the ultimate comfort food. 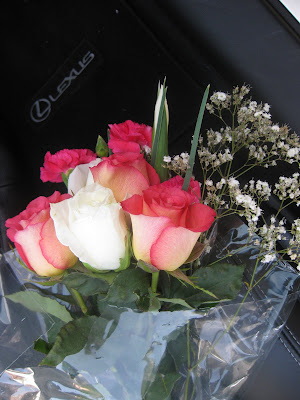 It was very well executed, but we were already full, and were not able to appreciate it :). As expected, we soaked the food in a lot of vino. On the next day we went for wine tasting. 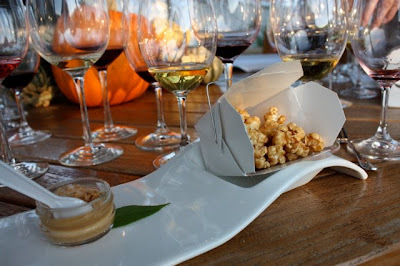 We got a VIP treatment for our food and wine pairing at Kendall-Jackson Wine Center. Our best wine tasting experience so far. 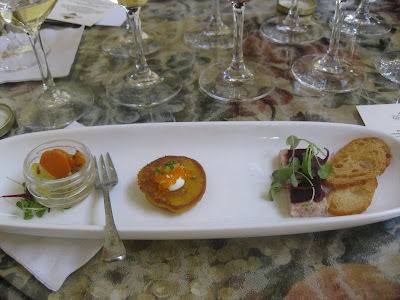 Everything was served in tiny portions, like gourmet tapas, and accompanied with a different Kendall-Jackson wine. 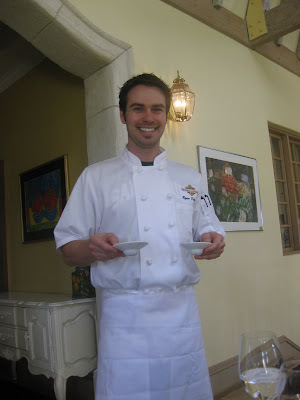 The food-wine pairing was delightfully guided by Chef Ryan. We ended up liking very much and therefore purchasing couple of bottles of 2007 Camelot Highlands Chardonnay and 2006 Highland Estates Alisos Hills Syrah. 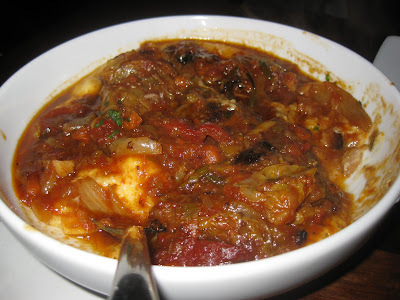 Green Beans Stew, or "Zelen Fasul"
Two birds with one stone... or Moussaka and Soup!